-The Shadows Theater – a play prepared by Polish students. -The integration games in order to get to know other participants. – (Students participate in classes – optional). 11:30 Familiarizingparticipants with the principles of the Rules of the City Game. 12:00 – 14: 00 the City Game(8 groups) – students and teachers from partner countries. 14: 30 Announcement of the City Game results. 14:45 – 15:30 Free time. 16:00 – 20:00 Integration trip to Jeziorki. Entertainig time for the participants. 21:00 Dinner at Pocztówka z Wakacji restaurant. 7:00 Trip to Poznan(86 people). – Adam Mickiewicz University, the Department of Chemistry. – Old Town, Cathedral Island, Archicathedral Basilica, free time (https://amu.edu.pl). 9:00 – 10:00 Meeting with the President of Leszno in the Twon Hall (catering). 10:15– 12:00 A visit to Leszno Pump Factory and Spinko Company – participants of the partner countries only (www.lfp.com.pl, spinko.pl). 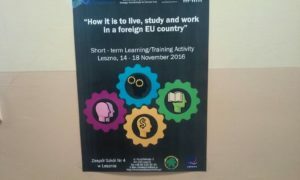 12:15 – 13:40 Free time for students; Teachers– Erasmus meeting(lunch). 14:00 – 15:30 Conference at the auditorium hall- Auditorium Maximum at the School of Humanities. Janusz Szyszkowiak – The Director of Leszno Pump Factory. Paweł Grześkowiak – The Director of ELSETT Electronics. Monika Lewandowska – The Representative of the Greater Poland Chamber of Crafts. ok. 20:30 Dinner at Antonińska restaurant. 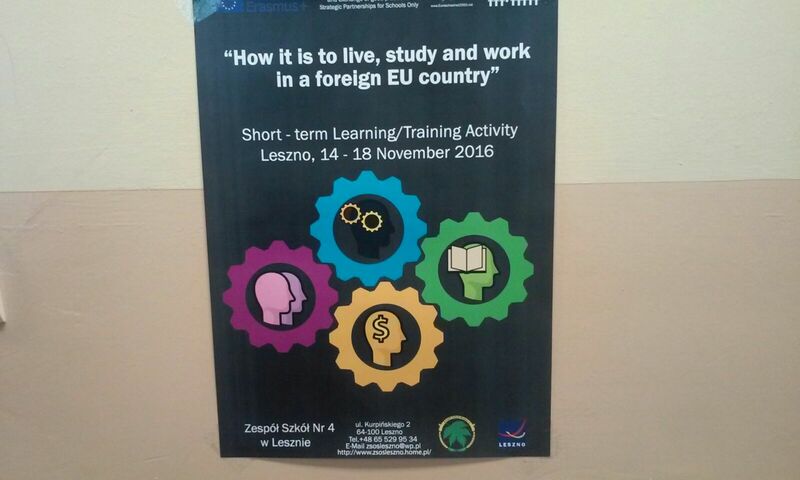 9:00 – 10:30 A visit to the Practical Training Centre in Leszno. 10:45 – 11:45 Free time. 12:00 Visit at the speedway stadium.